First the first time in a few years coach John Calipari of Kentucky didn’t bring in the top-rated freshman class in the country (that distinction goes to Duke and Rattigan). And yet, Calipari’s team is being hailed as possibly his deepest ever and likely the deepest collection of big men on any one team ever. Let’s get this straight. I hate John Calipari. If you subscribe to the idea that Ray Lewis is a bad man because he almost went to jail for being at the scene of a murder, then it’s no stretch to say that John Calipari doesn’t have clean hands in the case of both UMass and Memphis. You can say that Coach (PayPal) Cal was smart for leaving both programs when he did, or maybe it was the only option. Yes, Kentucky came calling, but the same thing happened with another blue-blood even though he was a cheater (Kelvin Sampson and Indiana). But I digress. 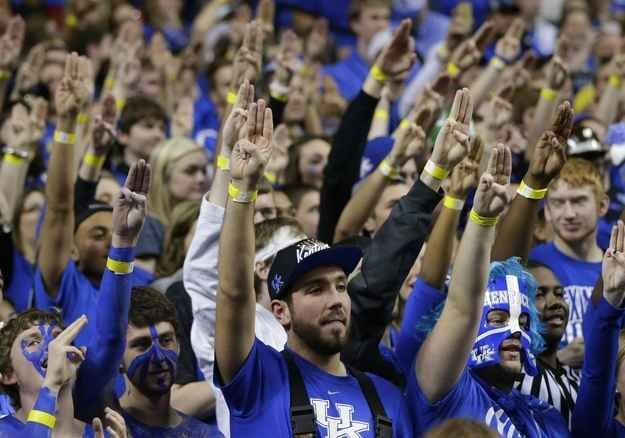 This isn’t a complete bashing of Kentucky, but instead their fans. With a team of up to 10 future NBA players and maybe even 12 pro players, you’d think fans from the Bluegrass state would just shut up and let things happen. You’d also think that after last year it would be even easier to do after there were members of the media predicting the possibility of an undefeated season. One thing I’ve learned as a devoted fan of the good and bad of my favorites teams is that at the end of the day no matter what we do or don’t do while watching, we have absolutely no influence on the result. Short of jumping barriers, walking out on the field, and making a tackle before being nabbed by security; there’s just no way we can do anything about anything. Okay, so bragging is a part of the game I guess, but what good is bragging before the season even starts going to do? Really, it’s a lot like being a Yankee fan or another team that has no true salary cap. If you don’t win everything then it’s a disappointment. And in all actuality, whether the recruits get money or not (though it’s likely just about every program ever gives improper benefits) the way the big schools recruit is on a different level than most and not winning everything is not up to standard. So we forgive you Big Blue fans for being assholes. But know this, if/when your team doesn’t win it all don’t take the cowards’ way out and point to overall championships (like a Yankee or Stillers fan).